For months, many market watchers have described Intel as complacent as we've seen the surge in new products from companies such as ARM, NVIDIA and Xilinx. This week, Intel is hitting back. 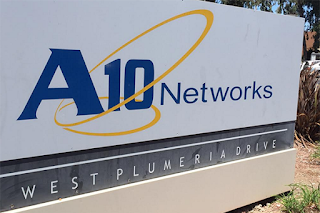 At an all-day media and analyst event at its headquarters in Santa Clara, California, Intel executives laid out their plans for extending the strength of the Xeon product family in data centers to the new frontiers of AI, network transformation, 5G, and supercomputing. Navin Shenoy, executive vice president at Intel, kicked off the event with the roadmap showing how Xeon has come to dominate the server business and where it is headed next. Here are some observations from the event. Network traffic trends are inescapable, especially east-west traffic in data centers. 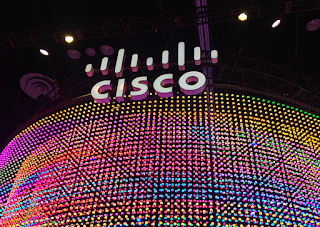 The market for network logic silicon could be worth $24 billion in just four years. Today, Intel has a growing share in silicon for the networking market but still was under 19% for 2017. The biggest point of differentiation for Intel will be to leverage its Optane 3D memory technology to change the current compute-storage-network paradigm. Intel's goal is not just faster Xeon processors, but better ways of story and moving data. The next iteration of Xeon is codenamed Cascade Lake and is optimized for AI with the Optane persistent memory. Intel expects an 11X improvement in inference performance. Here is a sneak peek at the roadmap. The connectivity opportunity is growing at a 25% CAGR. It gives Intel a window to capture a greater share of the overall data center architecture. GAAP net income was $3.8 billion or $0.81 per share, and non-GAAP net income was $3.3 billion or $0.70 per share. Service revenue was up 3%. Recurring revenue as a percentage of total revenue was 32%, up 1 point year over year. Revenue by geographic segment was: Americas up 5%, EMEA up 8%, and APJC up 6%. Product revenue performance was generally broad based with growth in Security, up 12%, Applications, up 10%, and Infrastructure Platforms, up 7%. By customer segment, enterprise was up 11%, commercial was up 9%, public sector was up 1% and service provider return to grow, up 6%. On a GAAP basis, total gross margin, product gross margin, and service gross margin were 61.7%, 60.2%, and 66.0%, respectively, as compared with 62.2%, 60.3%, and 67.8%, respectively, in the fourth quarter of 2017. Deferred revenue amounted to $19.7 billion, up 6% in total, with deferred product revenue up 15%, driven largely by subscription-based and software offers, and deferred service revenue was up 1%. The portion of deferred product revenue related to recurring software and subscription offers increased 23%. For the full FY18, revenue amounted to $49.3 billion, up 3%. Operating cash flow was $13.7 billion. F5 Networks introduced a VNF Manager as part of a prepacked software-defined networking solution based on its BIG-IP capabilities. The company said its goal is to make VNFs simple to purchase, deploy, manage, and upgrade in a “pay as you grow” model with subscription and perpetual licensing options. To help maximize utilization, resources can be automated and tailored for current initiatives, empowering customers to create, spin up, spin down, and add capacity to F5 VNF services immediately and automatically—all through the integrated F5 VNF Manager. Service providers can introduce differentiated services with flexible VNF service layering and programmable service chaining to expand network capabilities without sacrificing control. Preconfigured solutions support auto-scaling. Network planning, sizing, and deployments can be accelerated with F5’s capacity-based consumption models and automation features, maximizing operational flexibility around elements such as the mobile core and virtual edge. In addition, the solution enables portable VNFs that can be easily moved as needed throughout the network. F5’s automated, capacity-based NFV capabilities reduce the risk (and expense) of both underutilization and overprovisioning. SK Telecom is running artificial intelligence (AI) acceleration boards powered Xilinx FPGAs in its data center. The Xilinx Kintex UltraScale FPGAs are now running SKT's automatic speech recognition (ASR) application to accelerate NUGU, its voice-activated assistant. The Xilinx FPGA add-in cards are installed in existing CPU-only servers. The company reports up to 5X higher performance in ASR applications when compared to GPUs, and more importantly, 16X better performance-per-watt. This is the first commercial adoption of FPGA accelerators in the AI domain for large-scale data centers in South Korea. IX-Denver has expanded its Denver area neutral internet exchange to EdgeConneX’s Edge Data Center Campus. IX-Denver is operated by IX-West, a registered Colorado nonprofit organization, now has over 30 unique ASN’s or networks connected, making it the largest carrier and facility neutral interconnection platform in the state of Colorado. T-Mobile U.S. announced its latest "un-carrier" move -- the revamping of its customer service. T-Mobile's "Team of Experts" approach aims to re-invent customer service by relying less on automation and more on trained representatives dedicated to solving customer complaints the first time. The program promises to eliminate the automated phone menu and IVR (Interactive Voice Response) by directing support calls directly to a human. Team of Experts is now live for T-Mobile postpaid customers at no additional cost. Exabeam, a start-up based in San Mateo, California, raised $50 million in Series D funding for its next-gen Security Information and Event Management (SIEM) solutions. 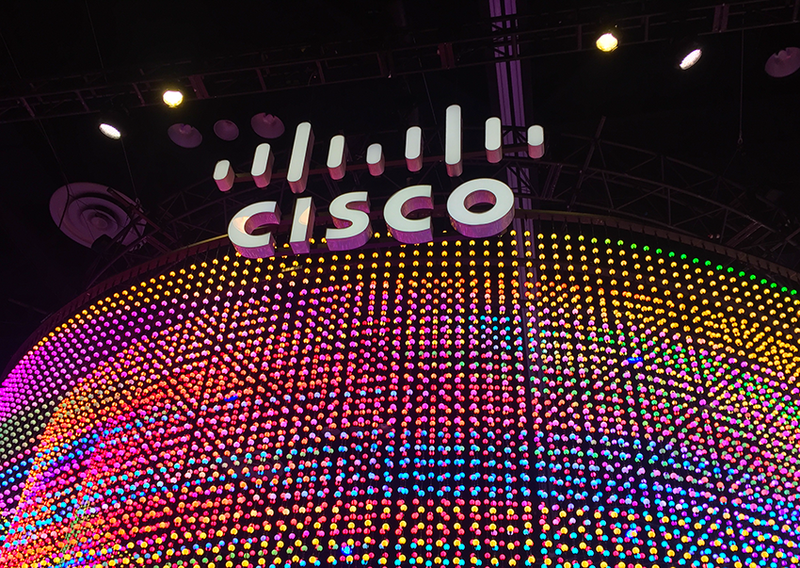 The funding round was led by Lightspeed Venture Partners and supported by existing investors Aspect Ventures, Cisco Investments, Icon Ventures, Norwest Venture Partners and cybersecurity investor Shlomo Kramer. Exabeam cites 250 percent market growth in 2017, coming off 300 percent growth in 2016, for its Security Intelligence Platform (SIP), which is built on open source, big data technology, including Elasticsearch and Hadood. It enables unlimited secure data collection, indexing and search but without volume-based pricing. Corning is preparing to expand its optical cable manufacturing operations in North Carolina, according to the Charlotte Business Journal, which says the $60 million investment will add 110 jobs to its local workforce. In April, the company announced plans for a high-volume manufacturing facility for Corning Valor Glass in Durham, North Carolina. 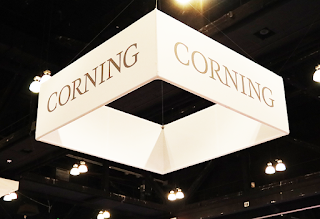 Corning described this project as part of a plan to invest $500 million and create 1,000 new U.S. jobs as the first part of an investment of $4 billion leading to 4,000 new high-tech jobs. 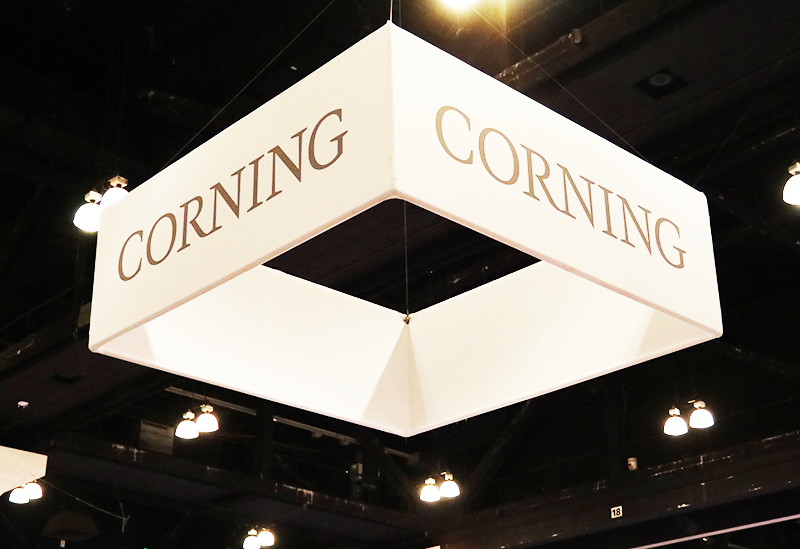 Corning anticipates that the new facility will be operational by year-end 2019. Twistlock, a start-up that specializes in container and cloud native cybersecurity, raised $33 million in series C funding. Twistlock, which is based in Portland, Oregon, offers an automated and scalable container cybersecurity platform. The latest release, Twistlock 2.5, additionally provides automated forensic data collection and correlation across cloud-native environments. The latest funding was led by ICONIQ Capital, with the participation of existing investors YL Ventures, TenEleven, Rally Ventures, Polaris Partners and Dell Technologies Capital. This brings Twistlock’s total funding to $63 million. Hurricane Electric, which operates the world’s largest IPv6-native Internet backbone, has added its third location in Hong Kong, at HKCOLO, a neutral, network-dense carrier facility. 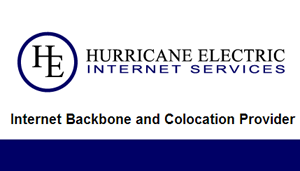 Tenants at the facility are able to exchange IP traffic with Hurricane Electric’s global network, which offers over 20,000 BGP sessions with over 7,200 different networks via more than 185 major exchange points and thousands of customer and private peering ports. The Hong Kong PoP also provides access to Hurricane Electric’s extensive IPv4 and IPv6 network through 100GE, 10GE and GigE ports.